"It is thought power that gives man power over nature." As has been outlined in the discussion on "Mind Power", this excerpt carries within it the explanation, as to why Man stands, so-to-say, at the top of the evolutionary order of life on Earth, as we now know it. Simply said, it is because, so far as our knowledge of the subject goes, Man is the only being which seems to demonstrate the capacity to wield Thought Power, at a level that, so far, has not been found in any other species of terrestrial lifeform. Of course, it is one thing for Man to occupy the top position of the evolutionary order, but it is quite another thing to conduct himself from said position - whether individually or collectively - in a safe and beneficial manner. And, as many of the wisest individuals who have ever passed through the world have either deduced or concluded, the primary purpose of any or all "sound" instruction and teaching, is to grant people the key to the knowledge of how to wield Thought Power in a safe and beneficial manner - both for the sake of the individual, as well as for that of the world around him. To postulate something is to claim or assume the existence or truth of that thing, especially as a basis for reasoning or explanation. Of course, this should not be inferred as implying that any and every random concept was, so-to-say, plucked out of the invisible and used to establish a basis for reasoning. On the contrary, a postulation may stand, even to this day, as a sound and solid basis for reasoning, provided that its explanation leads to the revelation of an intelligible sequence of cause and effect. And, if via going over the explanation, a person can trace out this intelligible sequence from start to finish, they acquire a firm foundation for accepting the postulation as a basis for reasoning, rather than it being a mere abstraction. We shall delve for a moment into the realm of physical science. Around the transition from the 19th to the 20th century, when the scientific world was, so-to-say, discovering the existence of the atom, there also arose the idea that the atom itself was ultimately composed of particles of what was termed an Original Substance, which at that time was referred to as Ether or Aether. The original concept of Ether has more or less been superseded by those conclusions to be drawn from modern-day Quantum Mechanics, but the concept itself is not entirely abandoned - for it cannot be denied that, at that time, said concept served to sensibly explain certain facts which were observed in nature, such as the wave theory of light, and even now, advances in quantum mechanics offer the postulation of what is called wave-particle duality, i.e., that matter and energy may exhibit "wave" properties, as well as "particle" properties. Now, according to physical science, this Substance or Ether is uniformly distributed throughout the universe. This supported the observation that, at any time, it is possible to observe light from distant stars coming from literally every visible corner of the sky - the Ether serving as the medium for the transmission of light (i.e., electromagnetic radiation) as waves. One simple definition of a wave is: an oscillation or vibration in a medium, displaying both an amplitude or displacement and a frequency or rate of vibration. And as stated before, the medium - whether it be so-called solid matter, water, air, or Ether - is simply the path through which the energy travels; the wave or waves may be considered the manifestation or physical sign that the energy is passing through the medium at some moment in time. But it is also worth noting that Substance, in itself, is a homogeneous medium - in other words, each and every particle is alike in nature, and therefore, no one particle or group of particles possesses a greater capacity for originating motion of any kind, than any other particle. Consequently, it was also postulated that any oscillation or vibration which occurs in the particles could only be set in motion by something which, although it may, so-to-speak, act on or through the Original Substance, is not the Substance or its component particles. The concept of Substance shall be touched on again, when considering the subject of the Original Creative Power or Universal Mind, in further detail. We shall now consider the subject of Vibration, and its relation to Thought Power. There exists a Universal Principle known as the Law of Vibration, which effectively states that everything in the physical universe vibrates or is in a state of motion. As stated above regarding the definition of a wave, this motion occurs at a particular rate or frequency. And it can be demonstrated, both mathematically and experimentally, that - literally - the scale of frequency is as infinite as the progression of numbers. Moreover, there is no hard and fast line of demarcation between frequencies; rather, as one ascends or descends the scale, the transition from one frequency to another is smooth. From the early experiments in wireless communication, which were conducted (again) around the transition from the 19th to the 20th century, it was discovered that signals from a communication source do not travel, so-to-say, in a straight line towards a receiver, but rather, they flow outward in all directions from the source. 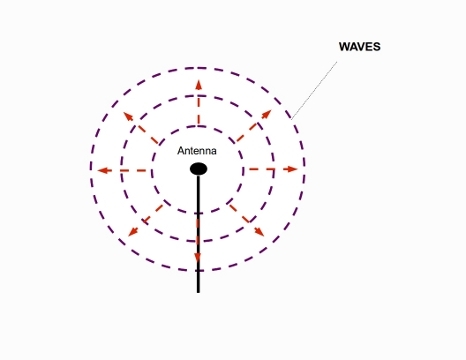 The effect of dropping a stone in a smooth body of water is a simple example of this phenomenon, but in the case of wireless communication, the waves travel in all directions, simultaneously. Consequently, any receiver positioned at virtually any point in space, which is tuned to the particular frequency of those signals, might be able to detect and receive said signals. 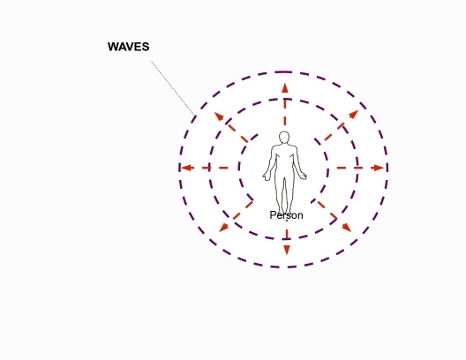 From this observation, it was hypothesized that Thought Power acts in a similar manner, i.e., it is radiated as "thought-waves" in all directions from its source, and those waves may be "detected" by a receiver which is "tuned" to the particular frequency. The preceding points - namely, the postulation that Substance or Ether acts as a medium for the transmission of Thought Power, and that thought-waves act in a similar (if not the same) manner as light and other forms of electromagnetic radiation - will be touched on again in another section, as they actually contribute to a sound and reasonable explanation of certain other phenomena, related to the subject of Thought Power. "Just what is Thought Power capable of doing?" As mentioned in the discourse on Mind Power, the whole of the so-called "visible" side of creation - and one might also choose to include the "invisible" side of creation - should stand as sufficient evidence of the capacities and potentialities contained in Thought Power. To sum it all up, the evidence demonstrates that Thought or Mental Power is Creative, i.e., it is capable of bringing into physical or objective existence, that which previously had no objective existence. In addition, careful consideration of what might be considered the starting-point of the existence of the physical universe, formed the basis for the postulation that Thought Power actually acts with complete independence - and one might add, total disregard for - any or all existing conditions. 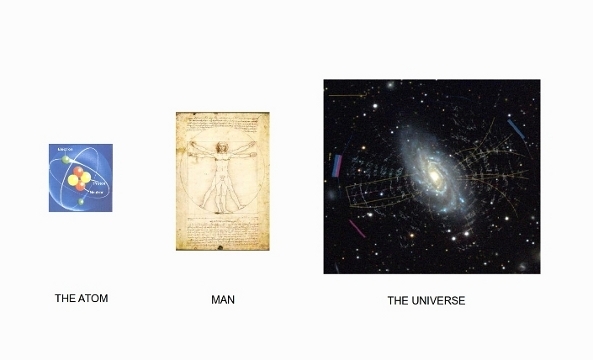 In the case of the initial movement of the Original Creative Power which led to the creation of the universe, it can be substantially argued that, there were no conditions present that might or could influence the creative action of Thought Power, as exercised by Universal Mind, in any one direction, as opposed to another. This postulation actually has very great significance to the indivudual person (individualized Universal Mind), especially any who endeavour to make conscious and deliberate use of the creative instrument of Thought - namely that, said creative instrument, even if and when put to use by the individual, operates with complete independence of, and total disregard for, any or all existing conditions. This will be touched upon, and explored in further detail in one or more subsequent discussions, but the inquirer who is discovering this for the first time, would do themselves a great favour to keep this fact in mind, if and when they set forth to consciously use their creative faculties. It is to be noted that some might also request or demand "hard" evidence, such as may be produced via a laboratory experiment, and, as stated elsewhere, that is the individual's right. The physical science of our present day, e.g., quantum mechanics, might be continually progressing in discovering finer and more minute types of sub-atomic particles of which the chemical atom is composed, but whether they will ever arrive at the discovery of the very first particle which constitutes Original Substance or Ether remains to be seen. Moreover, a little consideration would indicate that, even while physical science may carry the analysis of physical matter further and further, it can only deal with physical matter, and not with that ultimate Original Creative Power, which, philosophically, existed before physical matter, and so, since nothing existed before it, it cannot be analyzed or investigated via physical science. The only so-called "hard" evidence of which this Author is aware, and of which sufficient record exists that it may be investigated and researched by anyone, is to be found in the phenomenon of Hypnosis. This will be covered in somewhat more detail in another section, so it will only be mentioned briefly at this point, that a hypnotized person, having accepted some suggestion given to them by the hypnotist, invariably carries out that suggestion, to the minutest detail. A suggestion is, in essence, a Thought or Idea. And, having accepted some suggestion, the hypnotized person actually exercises his or her inherent Thought Power in working out that suggestion to its logical consequences. Hypnosis confirms on the scale of the individual person, that Thought Power is capable of creating various conditions in the external or physical body of the person. And there is a way to relate the confirmations of hypnosis, to what is evidenced in the physical universe. That way is summarized in the concept of the parallelism between the Macrocosm (which may represent the entire universe) and the Microcosm (which may represent the atomic or quantum realm). Briefly, this concept, which has been traced out by many ancient cultures, postulates that various patterns of occurrences take place at all levels of existence, from the quantum realm to the entire universe, and at all other levels in-between, including Man. Hence, if one investigates and traces out the various patterns as they occur in the world of Man, then the same patterns also occur in all other levels - the difference between the patterns across levels is only one of scale or degree, and not of kind. Therefore, if hypnotism and hypnosis proves what Thought Power is capable of doing in the physical body of the individual, when directed in a certain manner, then, if we take the individual world as the Microcosm, and the entire universe as the Macrocosm, then Thought Power directed in a certain manner by the Original Creative Power or Universal Mind should be capable of bringing into being, the universe and all that is contained therein. From the initial discourse on Mind Power, we were shown that the Mind of Man - which may be said to constitute his "real" self, as opposed to his physical or external body - is an Individualization of the Original Creative Power or Universal Mind, i.e., a miniature reproduction of Universal Mind. Notwithstanding that Individualization, the same powers, qualities and properties that are present in Universal Mind are present in the Mind of Man - in similar manner as fire demonstrates the exact same characteristics, whether it take the form of the smallest flame, or the brightest celestial body. Accordingly, and in line with all that has been put forward up to this point, it is a logical determination that, if Thought Power, directed in a particular manner by Universal Mind, led to the creation of the physical universe and all that is contained therein, then the Mind of Man - which may be aptly described as "individualized" Universal Mind - must be potentially capable of demonstrating an identical quality of Thought Power. Then, no doubt, some might ask: "If this is true, why doesn't everyone demonstrate and make conscious and deliberate use of this power?" There may be no single answer that might satisfy each and every inquirer, but, based upon all that he has studied to date, this Author will offer an answer that he has come to accept as a sensible one. It is because Man does not come into his own individual world, "pre-programmed" with the recognition of the powers, qualities and properties which are inherent in his mental constitution. One might consider that arrangement of things to constitute a "safety-device", to prevent the wielding of Thought Power without the necessary intellectual and moral enlightenment that would induce the wielder to maintain the naturally arrangement of things in a harmonious order. Without said enlightenment, the unrestrained exercise of Thought Power would inevitably bring about chaos, confusion and other undesirable consequences. It is for this reason that, while much of what has been said to date about Thought Power can be found in virtually every philosophical and religious system that has ever been taught or practised, said knowledge will probably not be found "on the surface" of those systems, but are carefully concealed within their various teachings, and only to be discovered by or revealed to those who have attained the necessary enlightenment, referred to in the previous paragraph. And as stated at the beginning of this discussion, it is the purpose of all sound instruction - whether religious or philosophical - to lead Man to attain this enlightenment. The following external link is an online publication of a short essay on Thought Power, excerpted from the book: "The Hidden Power" by the acclaimed writer, Thomas Troward (published c. 1921). Clicking the link will open a new browser window. Notwithstanding its apparent brevity, it contains much valuable insights, so that the essay is worth re-visiting on a regular basis, and, in due time, even the rest of the book. Essay of Thought Power, entitled: "Present Truth"